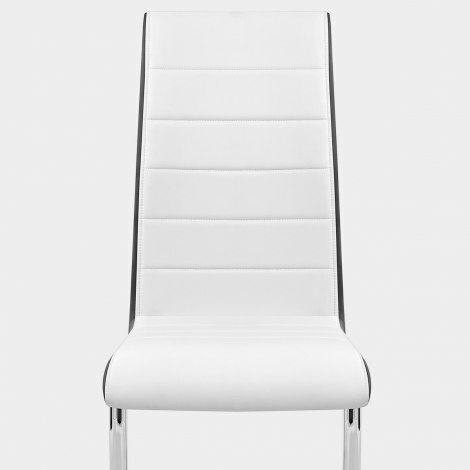 Jaw dropping style fit for any discerning household, the Renoir Dining Chair White and Black is hugely desirable, comfortable, and fashionable. Boasting a brilliant and beautiful modern design, the Renoir is sure to be the update your dining area needs. 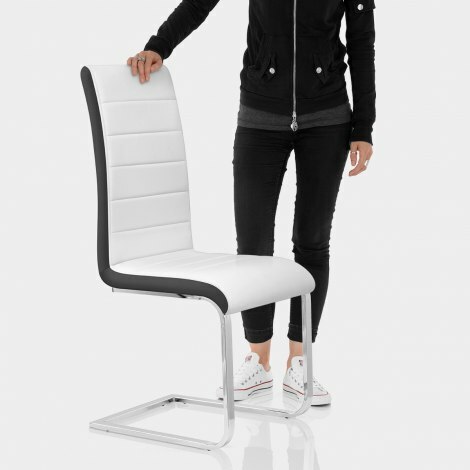 An ergonomic foam seat is clothed in white faux leather on the upper surfaces with black faux leather on the sides, highlighting the structured lines and the tall, supportive backrest, stitched into a segmented look. The squared cantilevered base ensures superb stability, crafted from steel for strength with chrome plating for durability in any location, as well as added scratch pads protecting your floor below. "These chairs are stunning. Lovely quality, nice leather"
To start with the transaction was smooth and quick delivery. 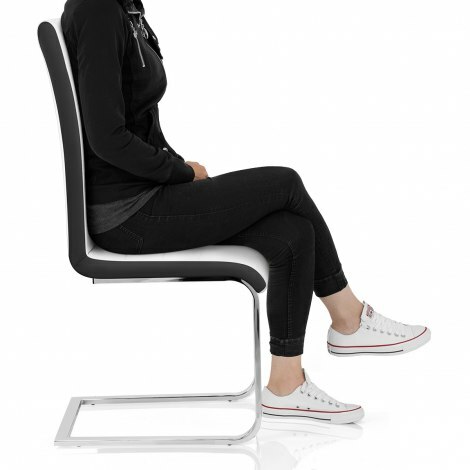 We are very pleased with our product and are put together and being used they are comfortable to sit on and just the colour we wanted. Thank you. Arrived the next day. Great value and easy to put together. Look much more expensive than they are. Love the black sides really makes them stand out. Very pleased will use Atlantic again. Look great with our glass table. This is the second order with Atlantic and we’re so impressed with the quality of the chairs, they are very well made and very reasonably priced would certainly recommend this company. THANK YOU. Excellent service. 4 Dinning rooms chairs that were easy to put together and look expensive and tasteful in my dinning room. I would definitely recommend Atlantic, great site and very good service. These chairs are stunning. Lovely quality, nice leather, and much heavier and more substantial than I expected. Easy to put together - no tools required except an allen key that was provided. Even the delivery was smooth and on time. I would definitely recommend these chairs!